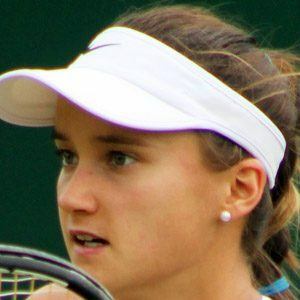 Ohio-born female tennis player who has won more than half a dozen ITF singles titles. She was the Grand Slam Doubles runner-up at the U.S. Open in 2011 and 2013. She gained entry to the U.S. Open as a junior in 2008. She is known for aggressive play and short stature, standing at just 5'2". Her father is a cardiologist and her mother is a nurse. She defaetead the heavily-favored Flavia Pennetta at the 2014 Wimbledon Championships.